President Trump may sign an executive order giving opportunity zone investments additional preferences in federal loan and grant funding, says Christopher Coes, vice president of land use and development, Smart Growth America. Christopher Coes, vice president of land use and development, Smart Growth America. 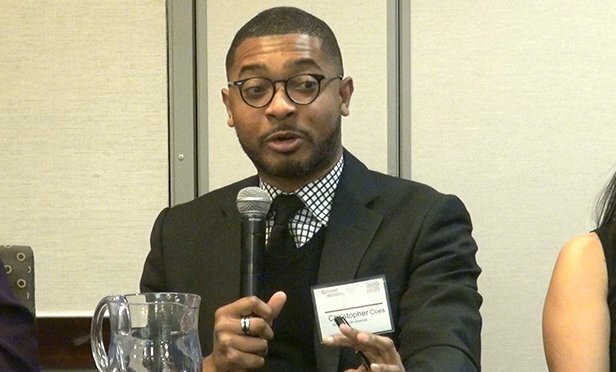 NEW BRUNSWICK, NJ—Investors taking advantage of new federal opportunity zone tax rules may get an additional federal benefit in coming weeks through a planned executive order from the Trump Administration, according to one of the panelists at today’s Rutgers Center for Real Estate program on the opportunity zone programs. President Trump is planning to sign an executive order giving opportunity zone investments additional preferences in federal loan and grant funding, says Christopher Coes, vice president of land use and development, Smart Growth America. But it’s not clear that such an order is under active discussion. Molly Millerwise Meiners, principal deputy assistant secretary for public affairs at the Treasury Department, referred a GlobeSt.com inquiry to the White House, which did not respond to a request for clarification by late Monday night. 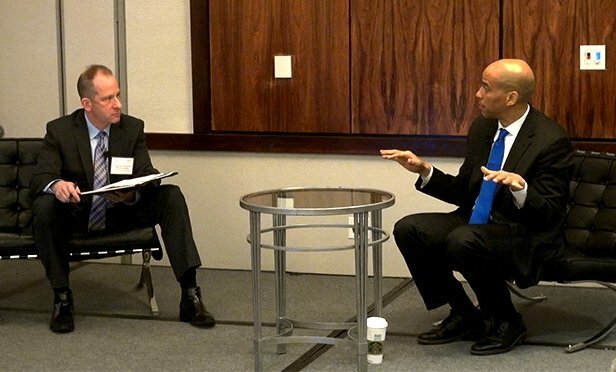 New Jersey Senator Cory Booker, one of the authors of the legislation, wants the benefits of the Opportunity Zone program shared broadly. He argues that the current federal tax code creates the wrong incentives by rewarding certain occupations with generous tax benefits while penalizing others that could use additional tax relief because of their importance to the nation. Booker compared a 25-year-old-friend who, as a stockbroker, makes more than $500,000 annually, while a 55-year-old teacher honored as a teacher of the year is still paying off student debt. “Why does one of my friends get carried interest (deductions) and all of that, and the teacher can’t even get a tax break to refinance his student loans?” Booker asked. Nevertheless, panelists at the conference confirmed that the Opportunity Zones legislation offers attractive alternatives for investors with capital gains in other assets. Under the regulations, appreciated assets can be sold and taxes on the capital gains deferred for up to ten years if the proceeds are invested in real estate in a designated Opportunity Zone.